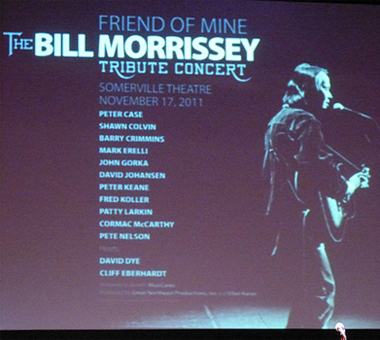 John Gorka singing Bill Morrisey's song as part of the "Friend of Mine" Tribute Concert held at the Somerville Theater. The show was set to start at 7:00 pm , but at 6:45 the on stage video screen lit up with Bill’s infectious grin. 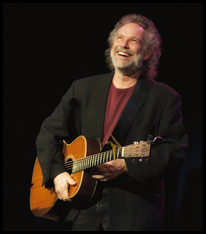 The footage was of a performance at a small arts festival in Massachusetts from 1991 and included an interview with Acoustic Café host, Brad Paul. Bill was his usual witty self, joking that his then upcoming “new” album (“Inside” released in Jan. 1992) would be all polka songs. 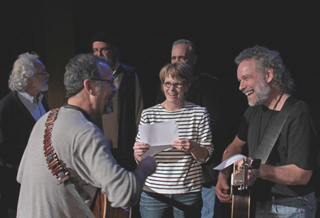 This video was the perfect opening to the evening that would follow, an outpouring of love & feelings of loss for one of our finest singer-songwriters. 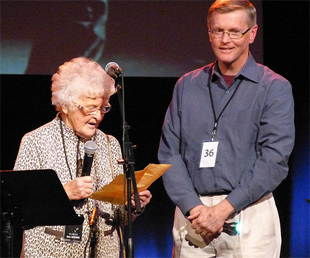 Bill Morrissey passed away in a Georgia motel room on July 23rd, 2011. 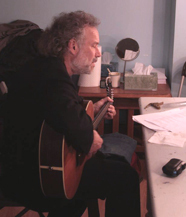 Almost immediately after learning of his death, his friends and fellow musicians began discussing how to not only mourn his death but more importantly, how best to celebrate his life and music. This November night was chosen because eight days later, November 25, would have been Bill’s 60th birthday. 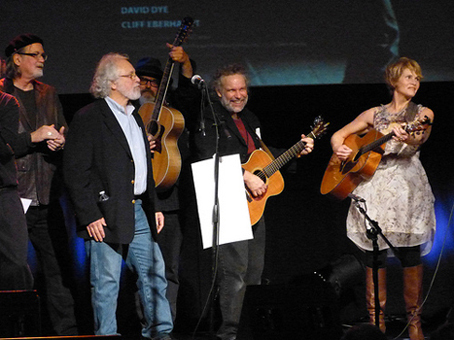 A who’s who of thefolk music scene was on hand to pay tribute to a man who was their friend, their touring companion, their mentor, and musical guru. evening including Peter Keane playing guiter to accompany David Johansen, and Pete Nelson getting harmonica support from Cormac McCarthy and guitar licks from Mark Erelli. 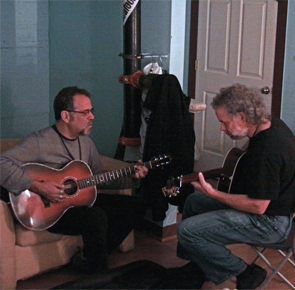 Later in the show, during his own two song set, Mark would provide one of the many highlights of the evening. Mark sang a wonderful song that he had written specifically for the evening, a song expressing the love and respect that he had for Bill while also acknowledging the flaws (ie: a passion for bourbon) that were also part of Bill’s personality. The song mentions a gig where he opened for Morrissey, and Bill told him to perform “Birches”, one of Bill’s best loved songs. 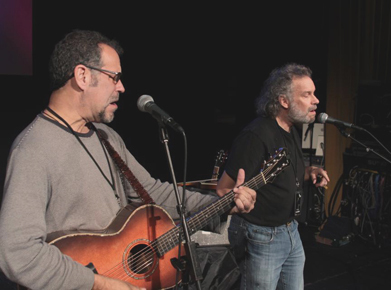 This night, Erelli proceeded to blow us all away with an outstanding take on that song from Bill’s 1993 album, “Night Train”. 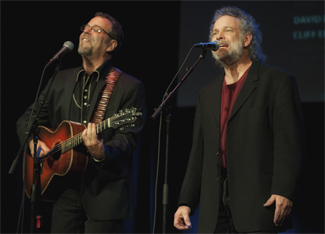 Other highlighted performances of Bill’s songs included Peter Case singing “Night Train” accompanied by his ringing 12-string guitar, and Peter Keane’s gentle version of “Barstow”. 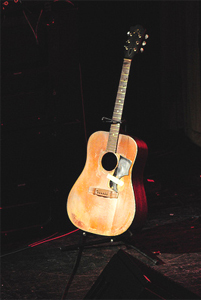 He was then joined by David Johansen on harmonica for Mississippi John Hurt’s “Louis Collins”, a song recorded by Bill for his Grammy nominated, “Songs of Mississippi John Hurt” (1999). Patty Larkin’s rich vocal & exquisite guitar work graced ”Love Song/New York 1982” another great song from Bill’s “Standing Eight” album. David Johansen, aka Buster Poindexter, former New York Doll, sang the title song from “Inside” and was joined by Peter Keane on guitar. 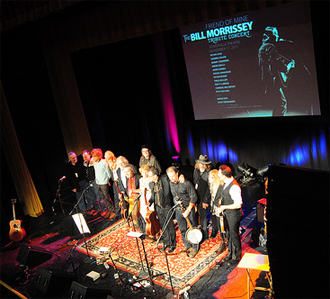 Shawn Colvin topped off the second half of the show, with a great performance of “Texas Blues”, from Bill’s 1984 debut album, “Bill Morrissey”. 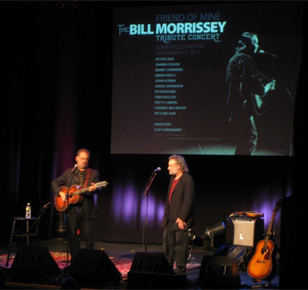 Barry Crimmins stated that “Morrissey revealed more in few lines than the average Russian writer could in 1,000 pages.” Bruce Pratt, a songwriter, poet, and University of Maine professor, read two very funny entries written by Bill in the guest book at Bruce’s fishing camp in Maine. He then read his poem , Ashes In The Eyes of The Trout, which was a favorite of Bill’s. 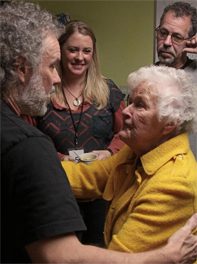 Fred Koller told of how Bill spent the few days before he passed away, visiting with Fred in Nashville. It was a fitting end to an evening that reminded all in attendance what a phenomenal talent we had lost, and how lucky are to have his music to remember him. 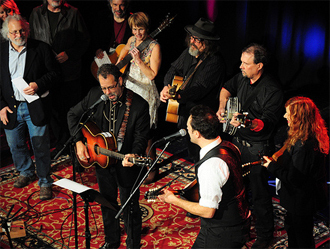 This tribute concert raised $12,000 for MusiCares, an organization that provides a safety net of critical assistance for music people in times of need. 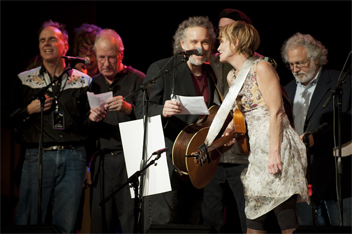 Koller, Cliff Eberhardt, Shawn Colvin, Barry Crimmons and John Gorka. .
Bill Morrissey died in July at 59. 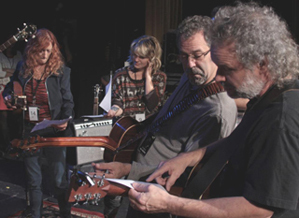 He will be remembered at a concert Thursday at Somerville Theatre. 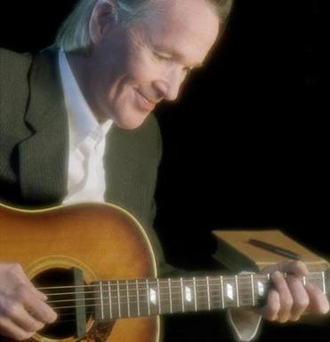 Click here for the article "Bill Morrissey, 59, folk troubadour passed away""